World health day is observed every year on 7 April since 1950 and is officially organized by WHO. The main aim of the day is to increase awareness over global health concerns all over the world. This year on 7th April 2019, the health organisations all over the world focussed on taking the quality health care facilities to the people in desperate need. 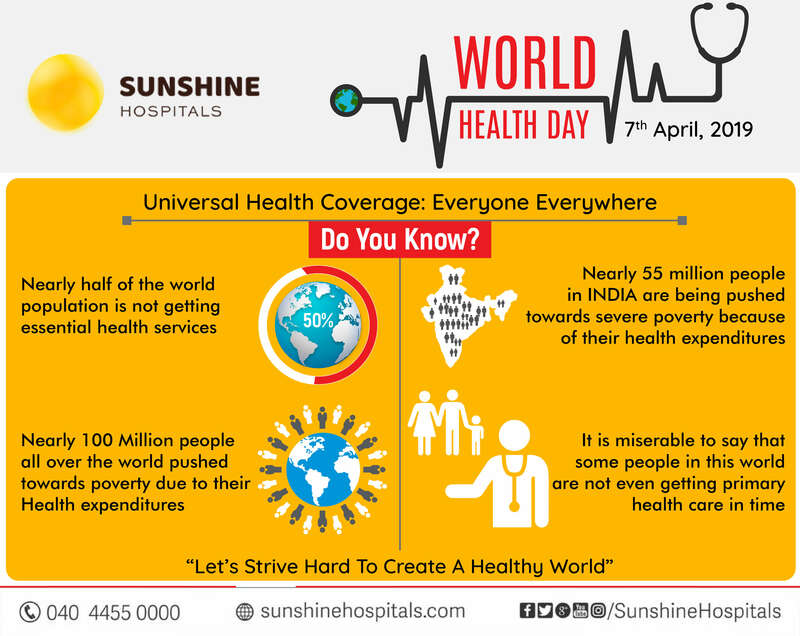 On this special day, let’s work around to motivate and encourage people over quality primary health care services and spread the message of Universal Health Coverage to Everyone And Everywhere in the world. Let’s know the facts of peoples health around the world on this World Health Day and aware people around you.